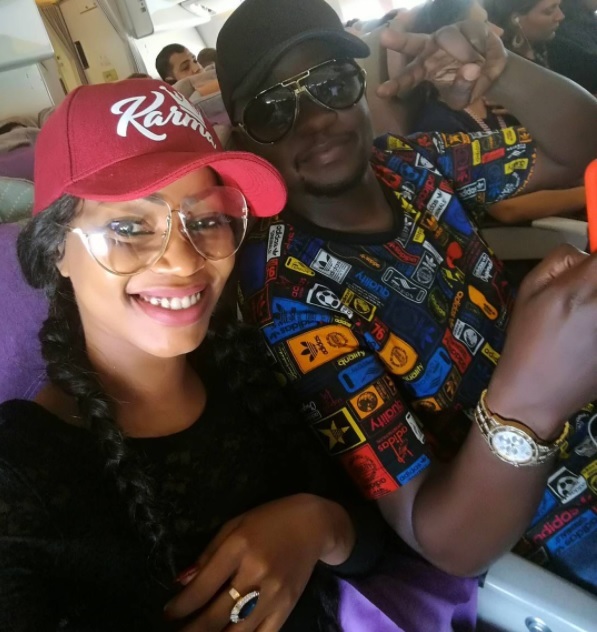 KAMPALA- Ugandan female artists Sheebah Karungi has denied the allegations that she dates her music manager Jeff Kiwa. During an interview with one of the local TV stations, Sheebah said Kiwa is only managing music but not love relationship as rumor has always been running. “Me and my manager only share work relationship, Manager Jeff Kiwa is just my manager and nothing more. If the fans think otherwise then it is their problem because it is not true.” Sheebah Karungi explained. Recently, singer Patrick Musasizi alias Chozen Blood left Team No Sleep (TNS) claiming that manager Kiwa only concentrates on Sbeebah something that affected his talent. Dating music managers may not be something new. Last weekend, singer Hellen Lukoma introduced her music manager Anwar Kaka to her parents whom they have been in secret relationship for a while. Sheebah will be hosting her Mwooyo concert November 30, 2018, at Hotel Africana in Kampala. Sheebah 29 is a Ugandan recording artiste, dancer, and actress debuting her acting career in Queen of Katwe as Shakira. She started in Obsessions dance group in 2006. Sheebah rose to fame upon the release of her hit single “Ice Cream”.